F 1/c J. J. Marshall, son of Mr. and Mrs. Travis Johnson, attended Hollister School; husband of the former Ovita Ray. 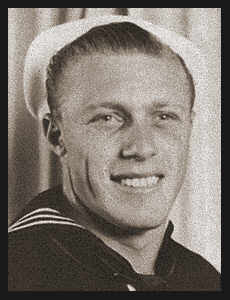 Entered Navy in July, 1942, trained in San Diego, Cal. ; served in Okinawa; was killed in May, 1945 aboard the Westward in the invasion of Okinawa.